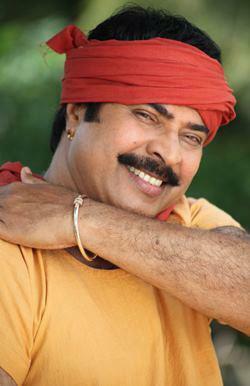 Kunjali Marakkar malayalam movie to be directed by Amal Neerad will feature Mammootty in lead. Made with a budget of Rs 40 Crores, 'Kunjali Marakkar' has already become the most anticipated malayalam movie to be released in the year 2014. According to available information, the shooting of the movie will begin from 26th February at Kozhikode next year. The story of the movie pools into the life of Kunjali Marakkar, a brave warrior of Samoothiri Namboothirippad who fought against the Portuguese. With a long line of movies are under preparation waiting to get released in 2014, Amal Neerad is taking time to start his majestic project Kunjali Marakkar, touted as the most expensive movie to be made in the history of malayalam film industry. The movie will be produced by Santhosh Sivan, Shaji Nateshan and Prithviraj under the banner August Cinema. Having a budget of Rs 40 Crores, 'Kunjali Marakkar' has already become the most anticipated malayalam movie to be released in the year 2014. Mammootty who would portray the role of Kunjali Marrakkar has already shown his mettle donning 'Pazhassiraja', a historical figure who fought against the British. The story of the movie 'Kunjali Marakkar' pools into the life of the naval chief of the Zamorin named Kunjali Marakkar who had lived for pride and prestige. Being a brave warrior of Samoothiri Namboothirippad, Kunjali fought against the Portuguese and defeated them in the naval battle. Lion's share of the project will be spending to include a lot of 3D effects which would deliver a visual treat for the movie lovers. Kunjali Marakkar will be a bilingual movie which would be made in Malayalam and Tamil while it will be dubbed in Telugu and Hindi. Santhosh Sivan who has shown the magic staying behind the camera including a number of bollywood movies will wield the camera for 'Kunjali Marakkar' too. In 1968, a movie based on the lives of Kunjali Marakkar was released which featured Kottarakkara Sreedharan Nair in the title role. The movie which was directed by S.S Rajan won the hearts of movie enthusiasts while it was credited with the National film award for the Best Feature Film in Malayalam too. According to available information, the shooting of the movie will begin from 26th February at Kozhikode next year. It is expected that, the movie would get released on 15th August.